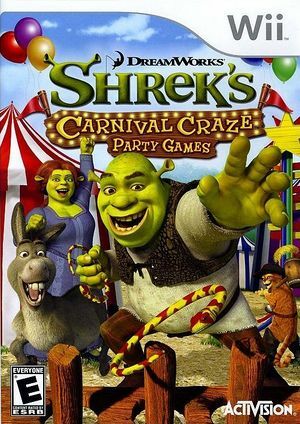 The twisted fairytale humor of Shrek meets carnival fun as you play 28 hilarious and action-packed party games in Shrek's Carnival Craze. Play as your favorite Shrek characters and compete to become the King or Queen of the carnival! The graph below charts the compatibility with Shrek's Carnival Craze since Dolphin's 2.0 release, listing revisions only where a compatibility change occurred. This page was last edited on 13 January 2018, at 13:30.